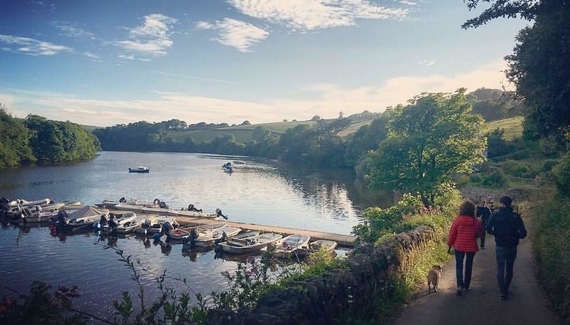 Arrive before the boats do – they drop anchor a step away and the Millbrook is their first port of call, for all the right reasons. 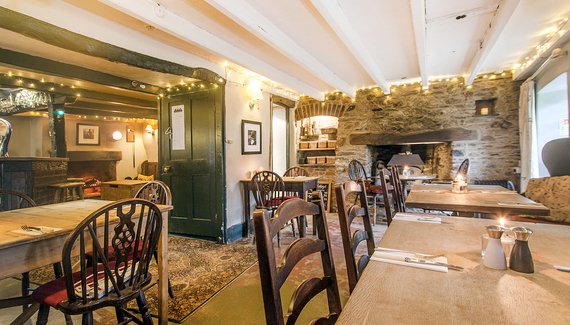 New chef team - Dave Gobbett and Iain Dawson - have created menus that showcase exceptional British pub food with particular attention to local produce. 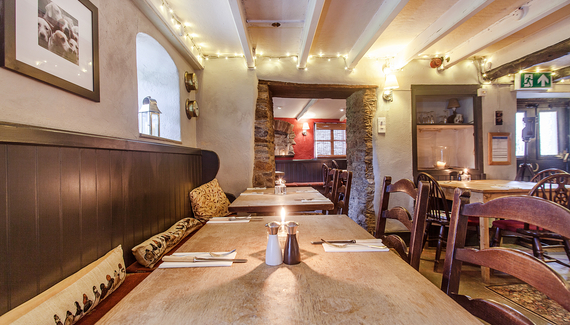 Try bubble and squeak, crispy pig's head croquette, curried cod, or the newly-crowned Devon's Best Burger - or settle in for their adventurous taster menu. Leave room for an upside down, Singapore Gin sling cake with limoncello. 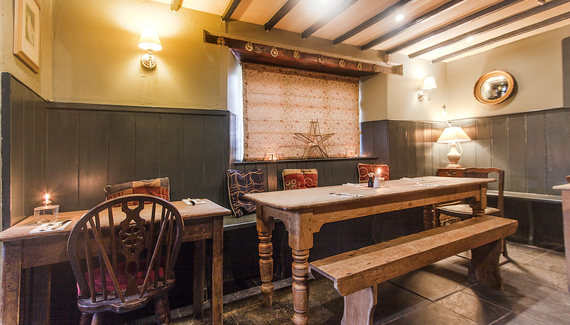 In winter, a log fire warms the immediate bar area while padded settles and wheelback chairs cluster comfortably around tables in snugs. 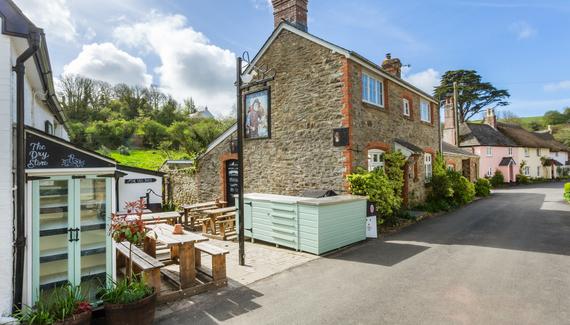 The stream-side terrace is tiny but assures entertainment in summer once the ducks are at play, so sit back and watch with a pint of Salcombe Lifesaver. Heaven. 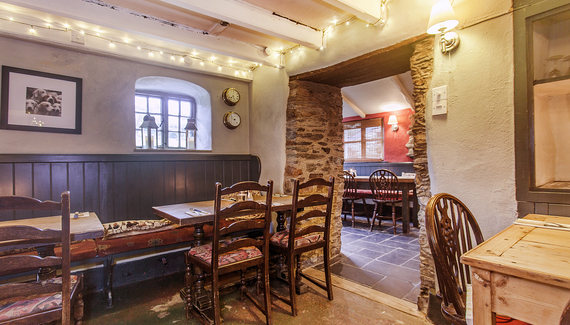 Some stunning circular walks to and from the pub with views over the Salcombe estuary. 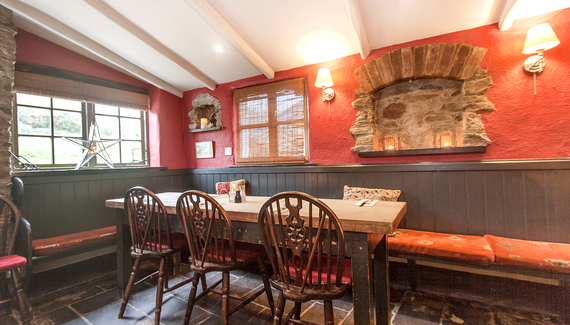 Take the kids to feed the ducks at the stepping stones or paddle in the brook at the back of the pub. 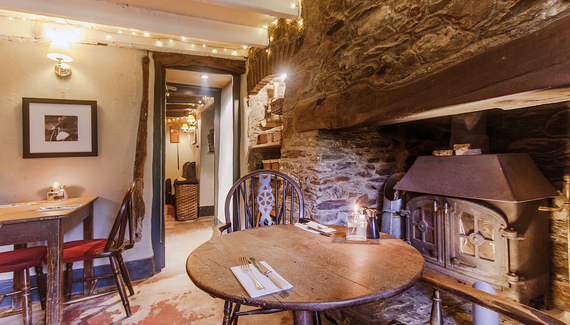 Historic 16th Century Inn in a chocolate box village of thatched cottages and creekside lanes. Flooded in June 2016 with over 100ml of rain in an hour. We were waist deep in the pub when the brook at the back diverted through the bar. Our amazing locals saved us from ruin with their army of mops, buckets, cleaning, carpentry and support. 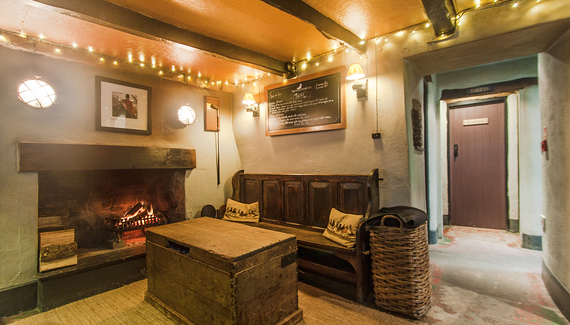 Have you visited The Millbrook Inn? Starters from £7.50. Lunch from £7. 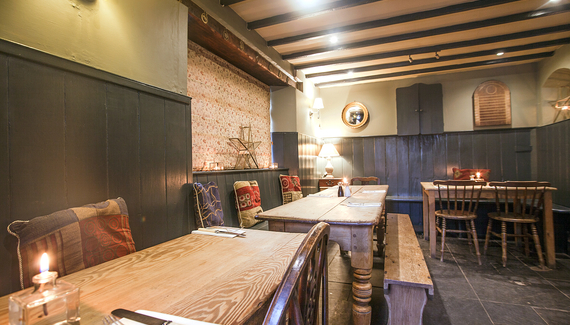 Dinner from £14. Sunday roast from £15.